Good morning! Or is it evening? You know I can never be quite sure; I’m so busy here and I rarely catch a glance out the window as we don’t have any. It’s almost as if Time has no meaning in here, HA! But that’s neither here nor there, surely. Very nice to meet you, I’m the Curator here. Hmm? Oh, well, a name, a job description, let’s just say I have a unique overview, a certain… insight into certain situations. It’s surely a gift or a curse, perhaps both, I — SHHH! —you ask a lot of questions! Look, I don’t know how you got in here, I was certain I deadlocked the door— or did I? I’m not as young and or old as I used to be here and there, depending. OH… wait a mo… you sent me the letter about the TV show. It did say you’re only ten years old, yes, yes, that would explain the lack of height. I read your letter and I did look into a bit. Your henchman is looking at me rather warily, I don’t blame her… oh, that’s your mother? Ah yes, of course, how do you do, let me explain. What if William Hartnell had stayed healthy? Three years later after taking on the role of Doctor Who, his poor health caught up to him mostly due to the punishing weekly schedule, combined with his unhealthy lifestyle. It eventually forced him to leave the show in 1966 to be replaced by Patrick Troughton. But that’s only what happened here. Pulling on a different temporal thread reveals a very different outcome. It’s 1950. William Hartnell quits the drinking and the smoking cold turkey and he never goes back. His career path continues as it would have and he revels in the eventual success of Doctor Who. It’s in his first incarnation that he meets the Yeti and the Ice Warriors and has Jamie and Victoria as companions. 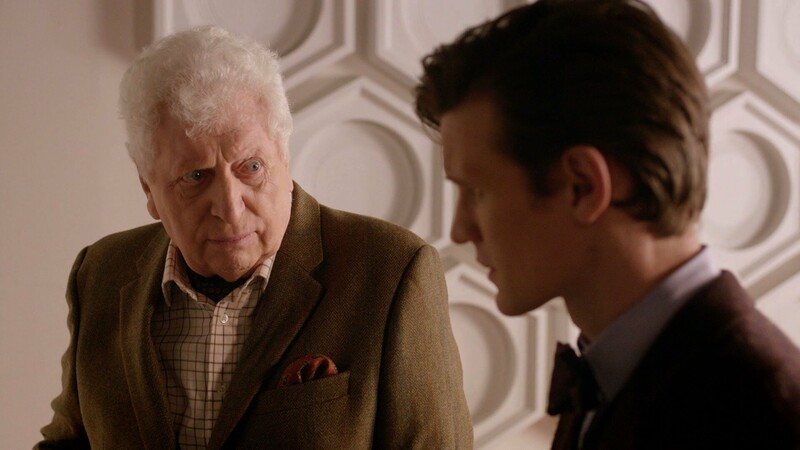 His original plan is to play it for five years and he sticks with the pledge, mostly because even though he feels all right — a healthy Bill Hartnell is a happy Bill Hartnell — the schedule is still all-year round, very punishing, so he’s ready to step down in late 1968 after over 200 episodes! But even in that reality, the producers are dealing with some declining ratings and repetitive “base under siege” stories and they know they’ve got to make some changes. So in Season 5, they also introduced UNIT in The Web of Fear, as they lay plans for the future. Hartnell’s fifth and final season ends with a massive 8 part story called The War Games, introducing the Time Lords at the end. Frazer Hines, having one year left on his contract, stays on to help usher in this risky new era with a new Doctor as Jamie’s been immensely popular the last two years. Plus, he’s worked with Pat Troughton before and looks forward to it again. As the story goes, the First Doctor is put on trial for interfering and sentenced to exile on Earth. The Second Doctor begins his era at the start of Season 6 in 1969 but the show is transformed in other ways. It’s now broadcast in colour and only 26 episodes a year. Being exiled to Earth and working with UNIT, the monsters and alien threats must now come to them. This Doctor, as always, drives the Brigadier mad. It’s decided to bring in a renegade Time Lord to match wits with the Doctor, but here, they bring back the Meddling Monk. He makes a few appearances but is never deemed that popular. 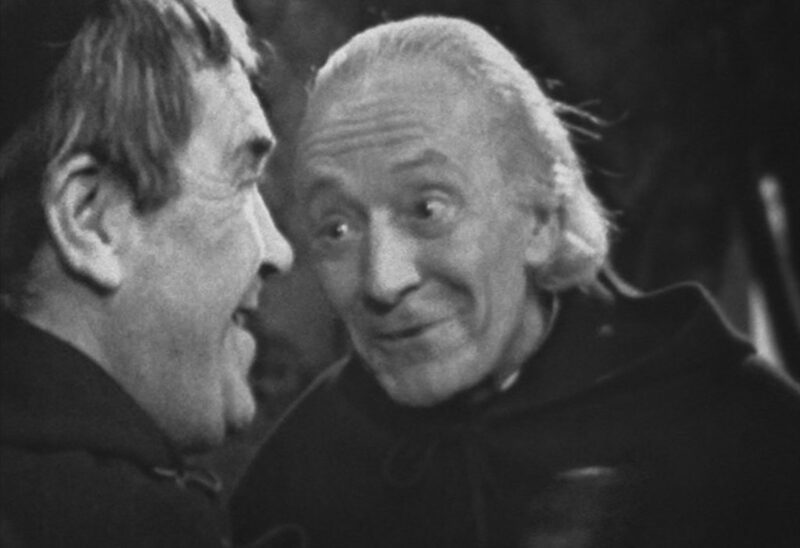 Troughton originally plans on leaving at the end of Season 8, due to concerns about type-casting but is convinced to stay one more year by Hines who extended his contract; that way, they could leave together at the end of the ninth season. 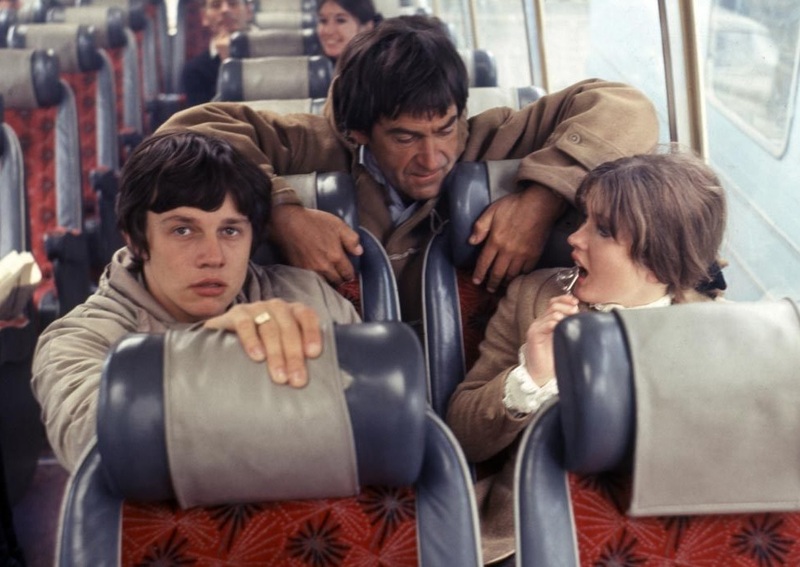 During Troughton’s time here, he’s gone up against the Autons, Axons, Silurians, the Monk, and others with Jamie, Liz, and Jo with UNIT by his side. Sadly, events do not work out to see the marvelous Roger Delgado come in to face the Doctor as the producers felt that it wouldn’t be a good match up with this Doctor. So it is, at the end of 1972, Troughton regenerates into Jon Pertwee. Pertwee’s reign starts here at the beginning of the anniversary Season 10, by going up against the Daleks, meeting their creator Davros, kicking off a dark, gothic new era of the show. 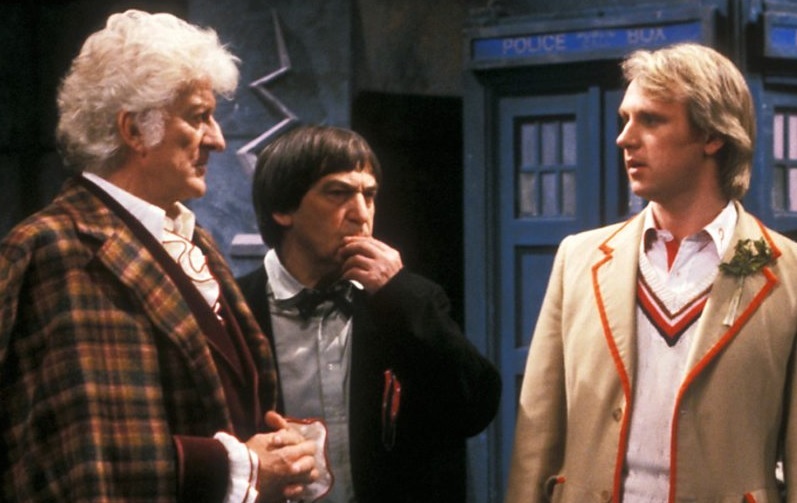 It is midway between Season 10 and 11 when The Three Doctors special airs, opting to let Pertwee have a whole season to himself as he’s not entirely eager to share the stage with his two predecessors quite this early. But he ends up enjoying working on the adventure with Troughton and Hartnell, as they go up against Omega, resulting in not only his defeat but the Time Lords releasing the Doctor from his exile. 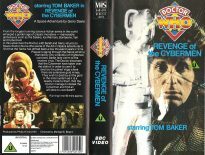 What follows is the flamboyant, new action Doctor and his Venusian Akido raising the show and ratings to all new heights, aided by Jo, Sarah, Leela, K9, and Romana. Pertwee stays a record long 7 seasons, spanning a few producers. New producer, John Nathan Turner, planning to take the helm in the following Season 17, has a new direction and Pertwee decides to hang up his cape. What? Why are you looking at me like that? Listen, YOU asked ME to tell you an alternate timeline, I’ve done just that! That’s what would have happened if Bill Hartnell remained with the series! No, there was no Tom Baker on the show as the Fourth Doctor! Well, he did make an appearance on the show. I think he was a guard in The Ribos Operation, or played that nasty Time Lord, Maxil who shot Davison or something like that. Listen, I like Tom Baker too, he’s one of a kind, but we can’t just stand around crying into the vortex that he wasn’t in the show in an alternate timeline! I tell you what, I’ve got a bag of jel—somewhere here, ah yes, sweets pocket. Here, eat your sadness away like a good ten year old. Funnily enough, a remnant of that universe entangled with your own: a copy of The Tenth Planet script exists with no regeneration, but never mind that. I hate to rush you out but I do have a pressing engagement in the other part of the gallery. I’ve just heard a familiar noise- well, a familiar noise three times, which is about right and I’d best go say hello. Toodle-oo, goodbye small one, goodbye, handler! Ooof. Glad they’re gone. Maybe I should stop reading letters. Why do they go on like that? I could have mentioned the reality where the show simply went away on a high note after Hartnell’s five years. Or the one where he played the part for eight years and was cancelled due to horrible ratings and never came back. Or the one… ah. I do go on. But you there! Any thoughts on alternate timelines? These were just a few out of millions… billions, really! Go on: pull a thread, hmmm? 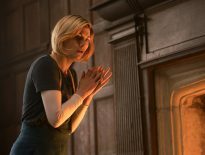 Features	Doctor Who: Is It Our Programme Any More?